The spacer disc will be mounted between bike-frame and feet-part of the rear carrier, if the frame is more narrow in this area. What Are The Dimensions Of This Spacer Please? I am looking for a spacer to replace a part on a rear bike rack. Original was 12 mm OD to fit M5 bolt and 22 mm long. I want to know will this fit, either on its own or two together. 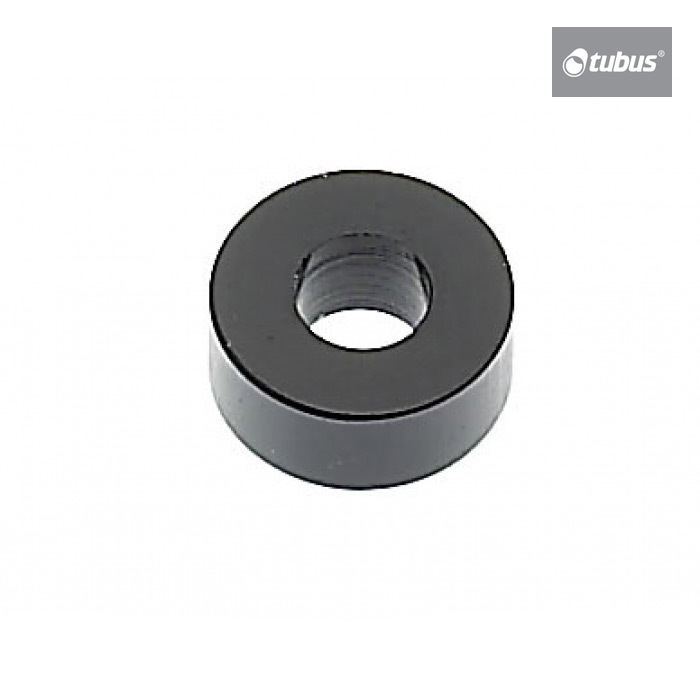 This spacer has an outer diameter of 14mm, an inner diameter 6mm and is 6mm long.